I have one more card to share with you for my Guest Design with Pink and Main! 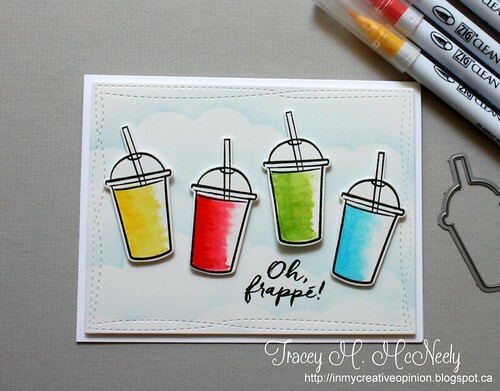 Hi crafty friends, Tracey McNeely back here again to share another card as Guest Designer! 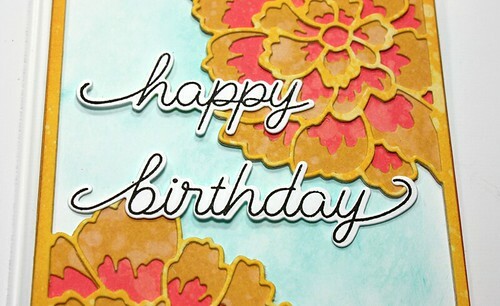 For today's card I used the Aloha Pineapple clear stamp set, Beach Babe 6 x6 Paper Pad and the Directional Border dies! I die cut a fun strip of directional arrows with paper from the paper pad, then I cut another strip using gold sparkle paper. I adhered the patterned paper strip on to my card base on an angle and then inlaid the gold sparkle pieces into the patterned paper strip. Once that was done I stamped the 'aloha' sentiment in yellow above the live and stamped and die cut a few pink hearts to put underneath. 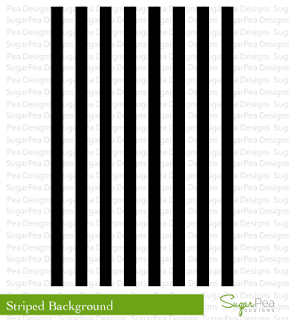 I used the sketch from CAS(E) This Sketch #232 for my design. 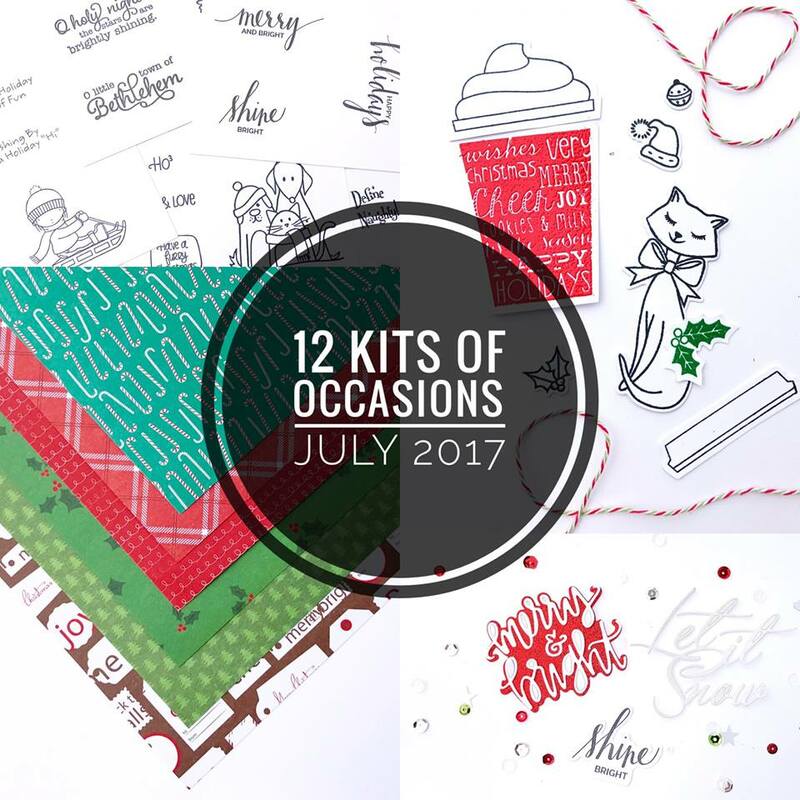 Welcome the the July edition of the 12 Kit of Occasions! 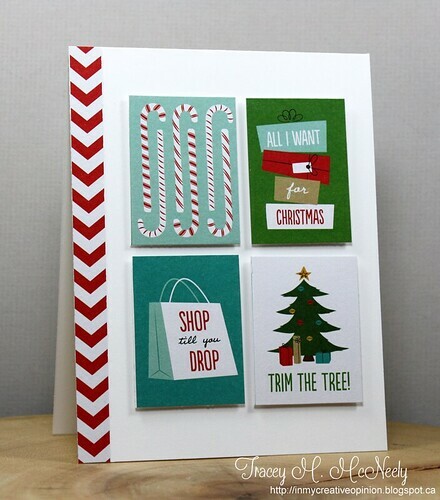 It is our annual Christmas in July post this month and the fabulous Kim Heggins in our head cheer maker this month. She sent out a fantastic collection of patterned papers, stamped images, die cuts and embellishments to play with. 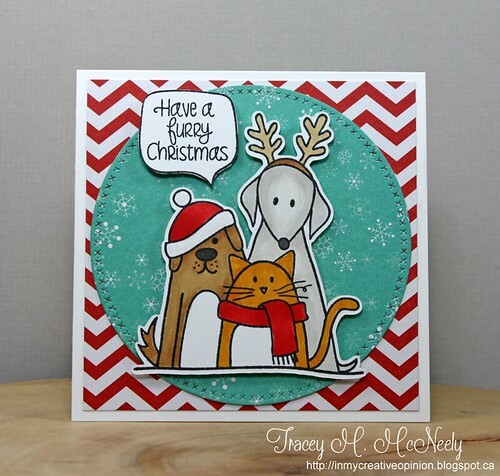 I am also adding this Furry Friends card to Simon Says Stamp Flickr Challenge #76 Anything Goes. All of my projects together one more time! 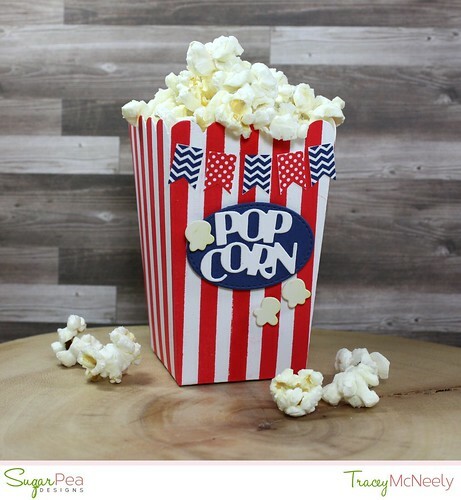 I am submitting all of these projects to the Simon Says Wednesday Challenge Anything Goes. 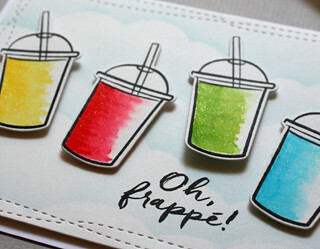 I am up on the SugarPea Designs blog today with a project that would be perfect to send as happy mail this summer! I started by smooshing a watercolour panel into some Distress Oxide ink and set it aside to dry. 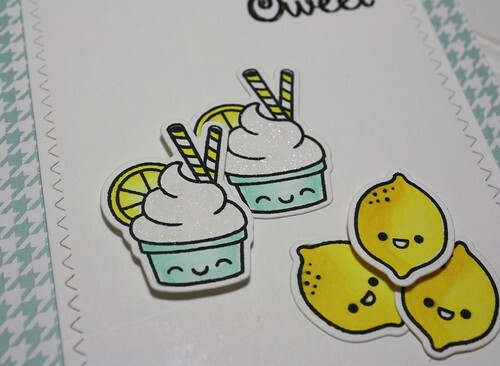 Then I die cutting the second largest rectangle from the Stitched Rectangles SugarCuts and I stamped three ice cream cones from the Summer Scoops clear stamp set. 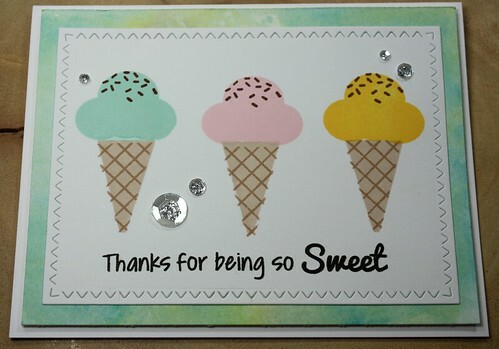 I started by stamping the first cone in the centre of the die cut and then I was able to evenly spaced out the cones on each side of it. I added my sentiment underneath the cones. The watercolour panel was adhered with foam tape, the stitched rectangle was adhered on top with tape runner. Finally and I added a few various sized sequins filled with silver Stickles. 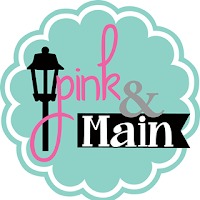 Thank you so much for visiting today. I hope I inspired you to make something sweet! For my project today I used both the sketch and the inspiration photo. 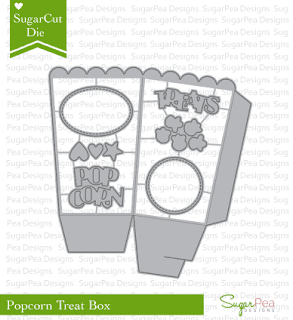 Using products from the SugarPea Designs Spring Release I created popcorn box with the Striped Background Clear Stamp stamped with red ink and then die cut with the Popcorn Treat Box SugarCut die. 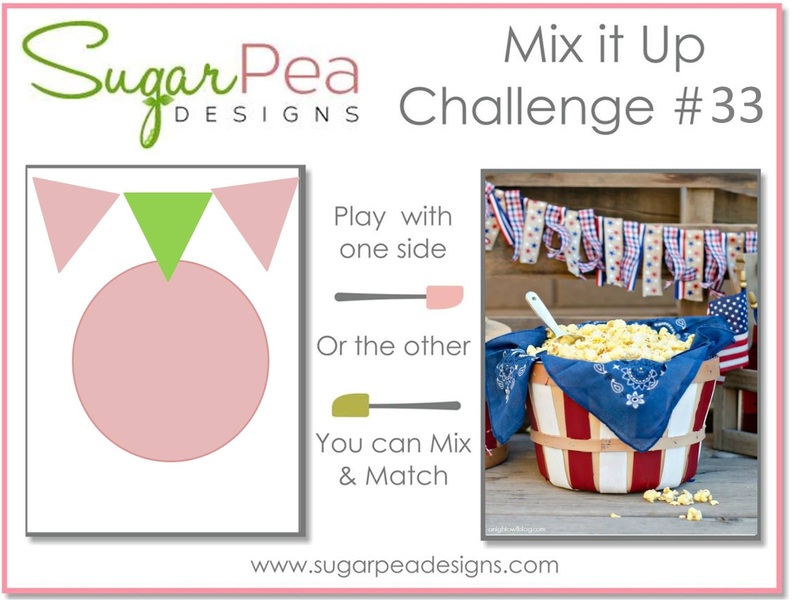 You have until July 31st to play along with any of this month's challenges! 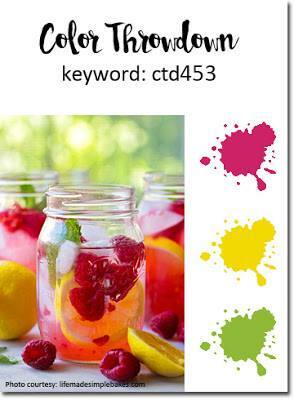 Back again with my last post as the July Guest Designer at the Color Throwdown. I have had so much fun playing along with team this month. This week the colours for ctd453 are light raspberry, yellow and green. 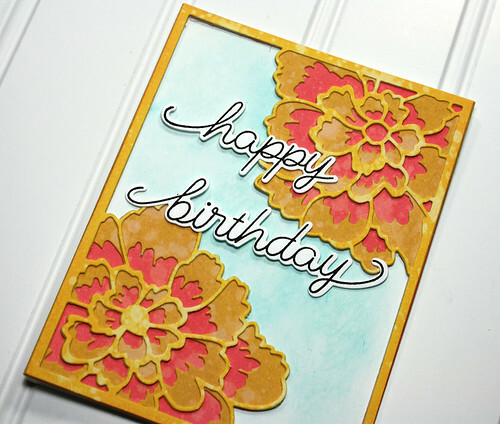 I used a stamp set that hasn't seen much love, My Favorite Things Buildable Blooms. I have been so inspired by florals lately and it was fun to pull this set out. 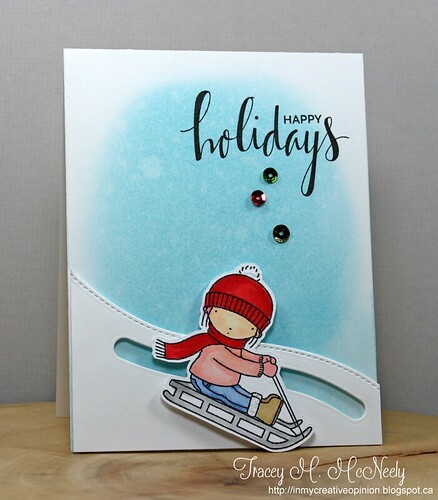 I stamped my background using this week's colours and then filled in the spaces with grey dots, thank for the tip Stephanie Klauck. 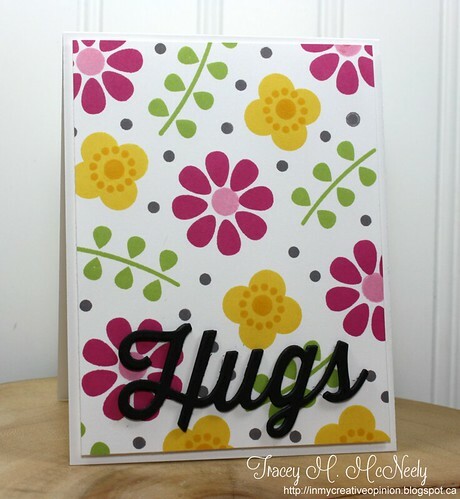 My sentiment was made with four hugs die cuts stacked together and the panel was adhered to the card base with foam tape. 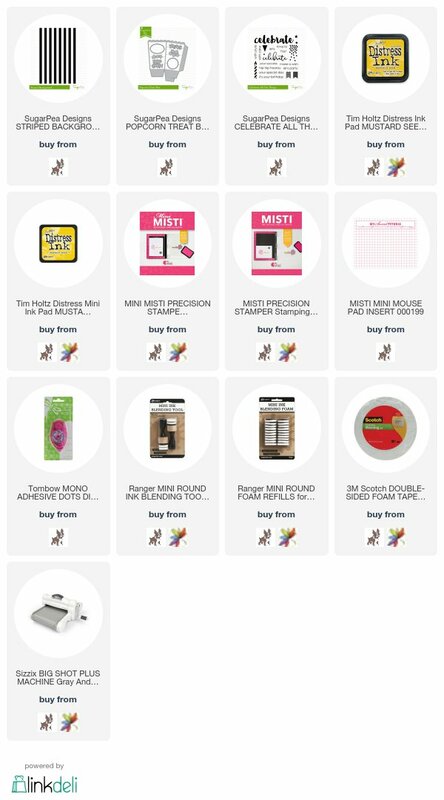 Head over to the Color Throwdown blog to see how you can play along and to see more colour inspiration from the Design Team follow the links below. 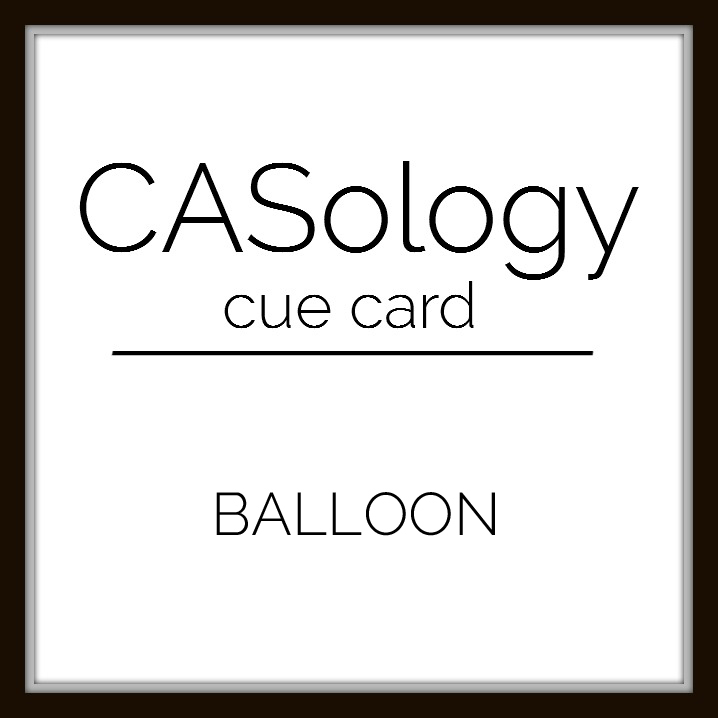 Five years ago I received an email from Melissa Chipperfield asking me if I would be interested in being on the inaugural design team of a brand new challenge called CASology! I replied with a definite YES and that was one of the best crafty decisions I have ever made. 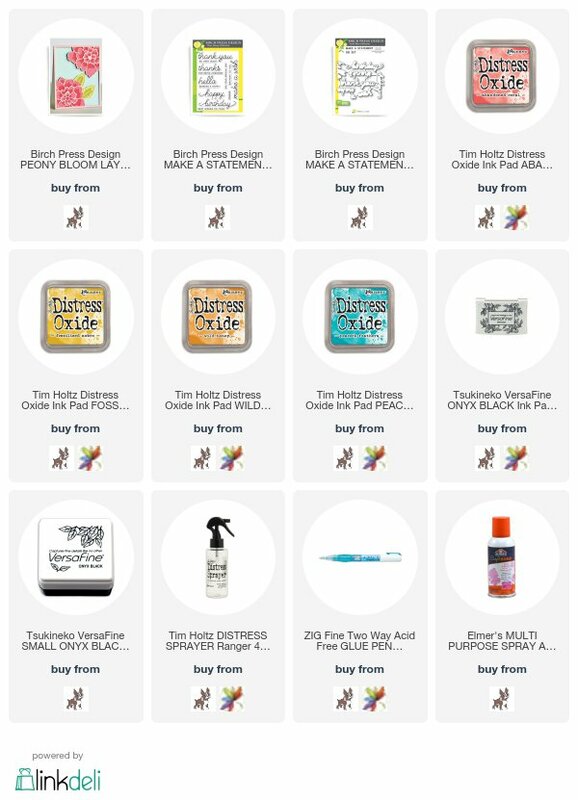 From July 2012 until December 2016 I did #229 challenges with Melissa and the team at CASology! 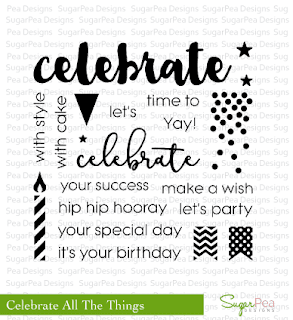 I think it is amazing that they are celebrating their 5th anniversary and the challenge and participation is still one of the strongest challenge blogs going. Congratulations for 5 successful years and many many more! 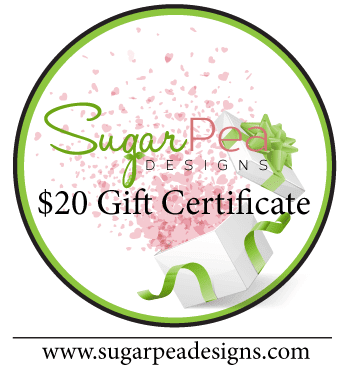 I am very honoured today to be participating in the 5th Anniversary Blog Hop! Of course you can't have a party without a balloon and lots of prizes too!! 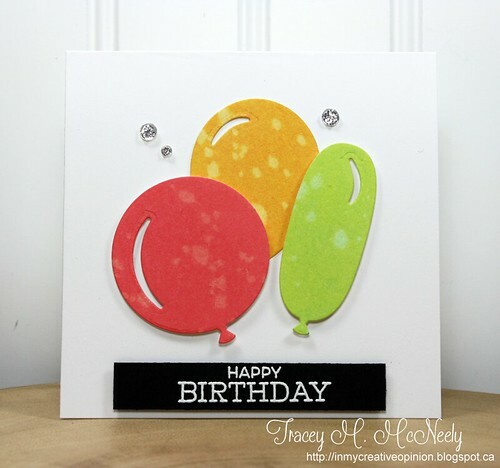 For my card today I sponged some Distress Oxide ink on to Bristol Smooth Cardstock and then cut my balloons out with MFT Stamps Big Birhday Balloons Die-namics. 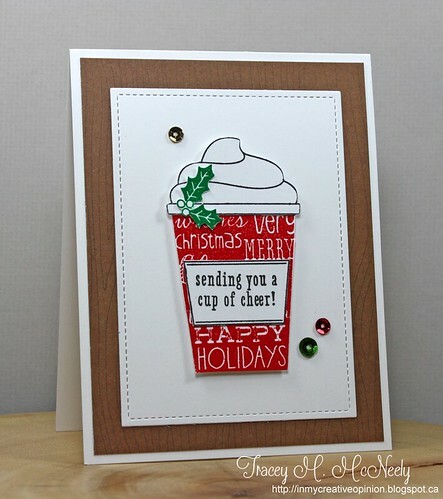 The white embossed sentiment is from MFT Stamps Gumball Greetings. All images were adhered with foam tape for dimension. 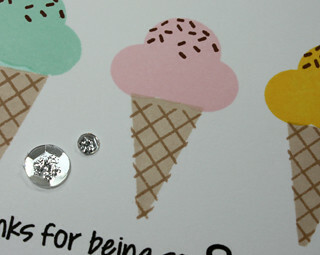 Finally some clear sequins filled with Silver Stickles. 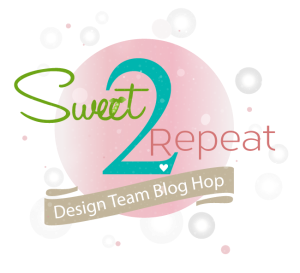 Here is the Blog Hop order and blog hop details! 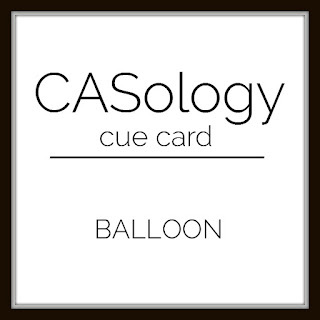 To be eligible for the CASology prize, participants must comment on all stops included on the hop + link up a BALLOON themed card to the gallery Winner will be selected randomly using random.org. Thank you for stopping by here today, and have fun hopping along! 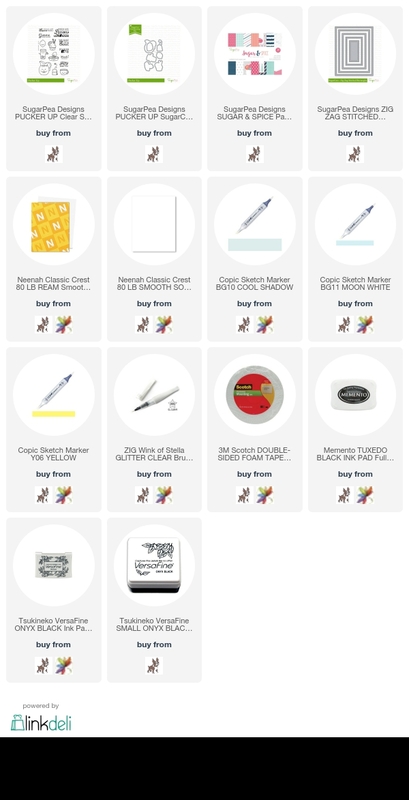 Back again with another post as the July Guest Designer at the Color Throwdown. 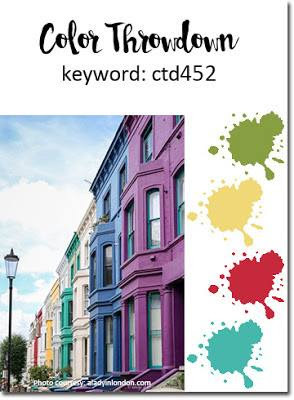 This week the colours for ctd452 are green, yellow, red and turquoise. 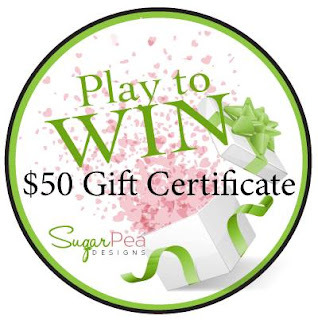 Hope to see you play along again this week! 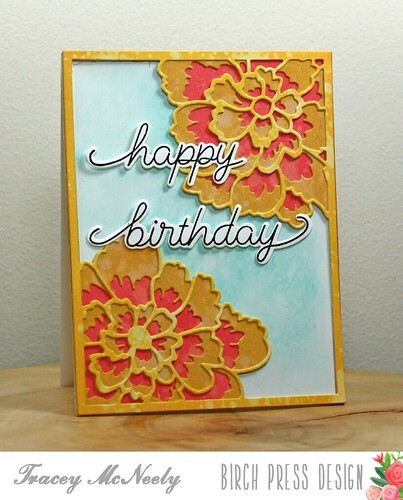 Distress Oxide inks You can watch full length video here or over at my YouTube channel. I found my voice for the first time ever to explain what I'm doing. 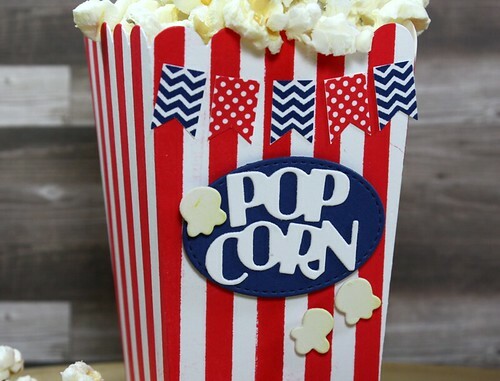 I would love to see you comment over on YouTube with what you would like to see from my videos and follow me while you are there if you are interested in seeing more. 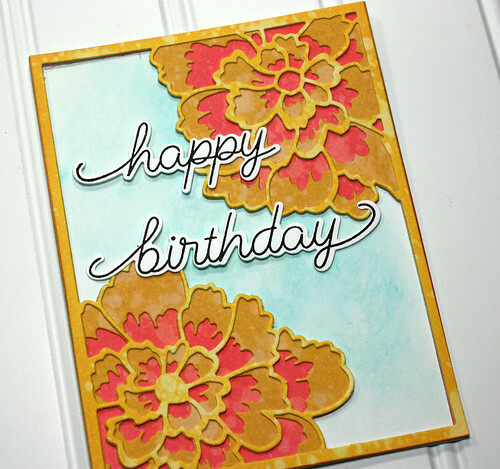 Today I am showing you another way to add colour using the Birch Press Design Stackable layer craft dies. 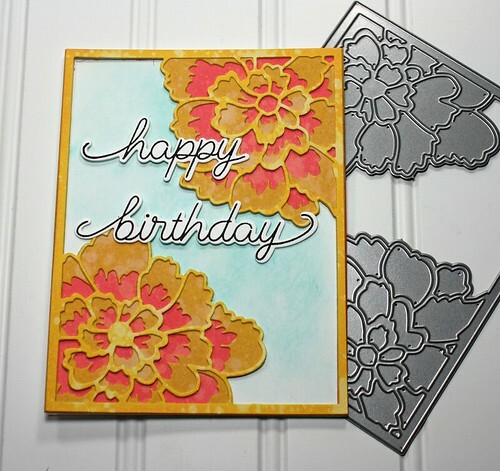 I am using Peony Blooms Layer A, Peony Blooms Layer B and Peony Blooms Layer C along with Ranger Distress Oxide inks. 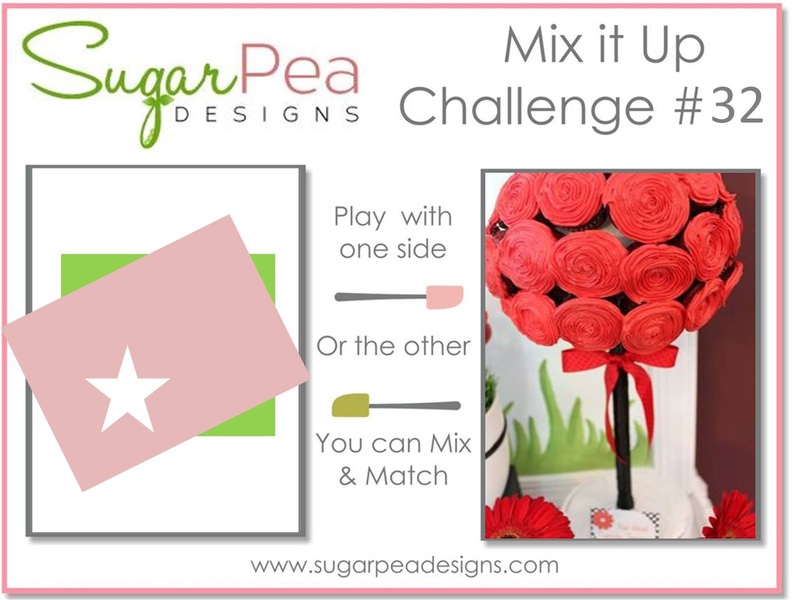 I have put together a video tutorial for you. After I sponged my three panels with Distress Oxide inks I spritzed water on them so the Oxides could work their magic. 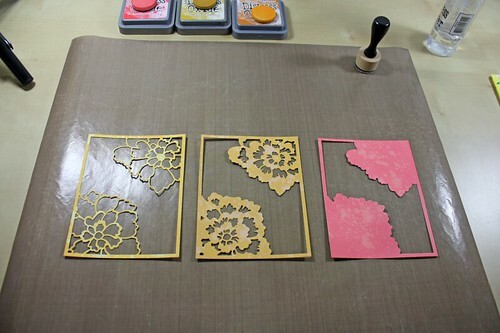 These are the three panels I sponged cut out with the Peony Blooms Stackable Layer dies. In order from left to right Layer A, B and C.
Once adhered together I prepared the cad base. Once again using Distess Oxide ink to sponge the background and spritzed it with water and lifted the excess with paper towel. 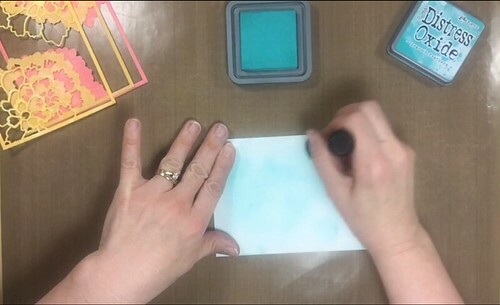 All layers were adhered together with Elmer's Craft Bond Spray Adhesive (see previous tutorial done by designer, Laurie Schmidlin). I sponged some more Distress Oxide ink on to my base panel and also spritzed it with some clean water. 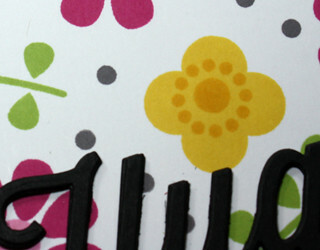 The die cut layers were adhered to the front of the card base. 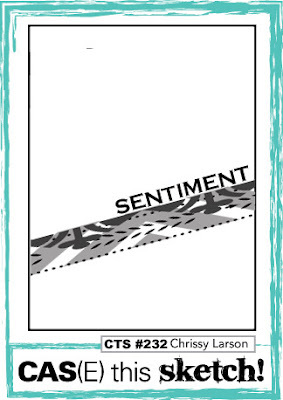 I added my sentiment stamped and die cut from the Make a Statement Make a Statement clear stamps and Make a Statement craft dies. These close up photos really show how much depth and dimension can be achieved with these dies and just a few gradient changes in colour. 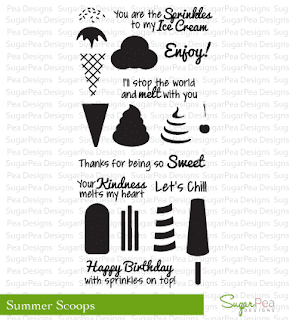 Perfect for a summer birthday. 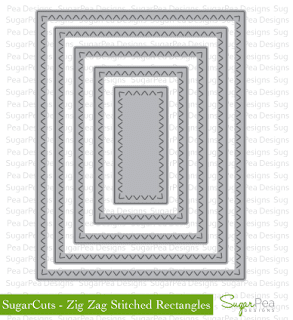 With the Stackable craft dies the possibilities are endless. I hope I inspired by to make something beautiful today. 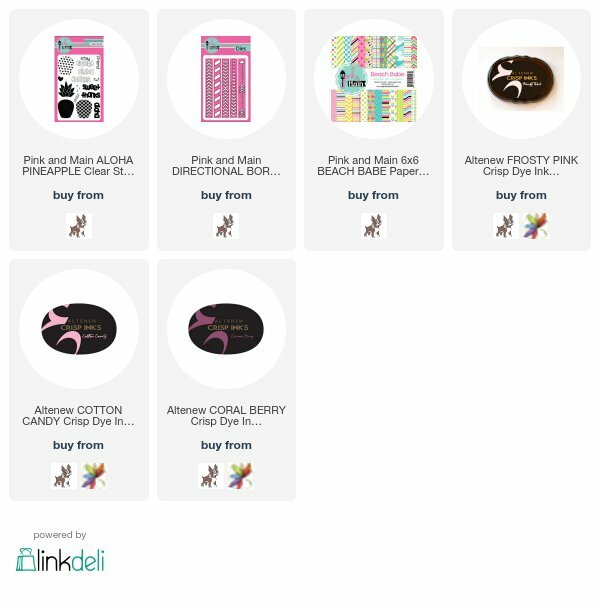 Now that so many of you have the new products from the June release in your hands the design team has a little more inspiration for you to help you get going with your new goodies. 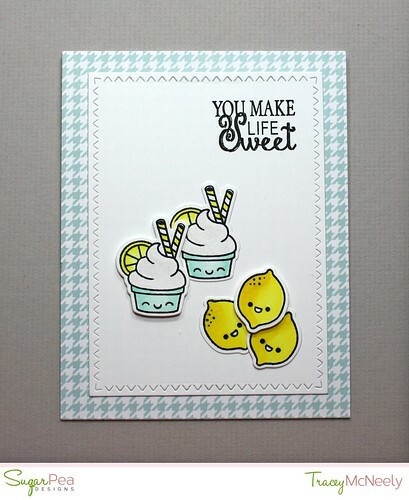 I started by stamping the lemon gelato and a few lemons from the Pucker Up clear stamp set and then Copic coloured. 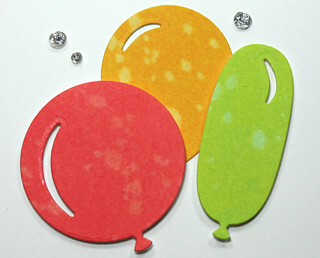 Next the images were die cut with the Pucker Up SugarCut dies. The houndstooth paper background is from the Sugar & Spice Paper Pad adhered to a 5 1/2" x 4 1/4" top folding card base. 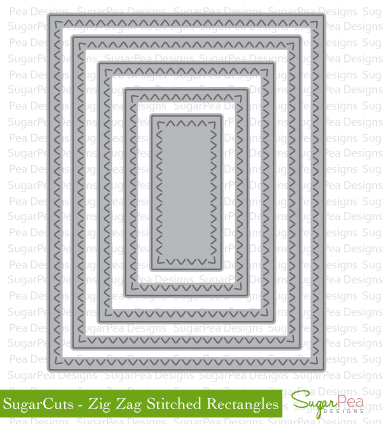 The white panel is was cut with a die from the Zig Zag Stitched Rectangle SugarCut dies and a sentiment from Pucker Up was stamped of it with with VersaFine Onyx black. The images were adhered to the panel and a couple with foam tape for dimension. Finally a double coat of Wink of Stella was added to the gelato.